After a morning of fun filled shopping we ventured over to Mitchell’s ice cream for tasty sweet treats. As a bunch of mature grown-ups there was no reason to not have dessert before lunch! 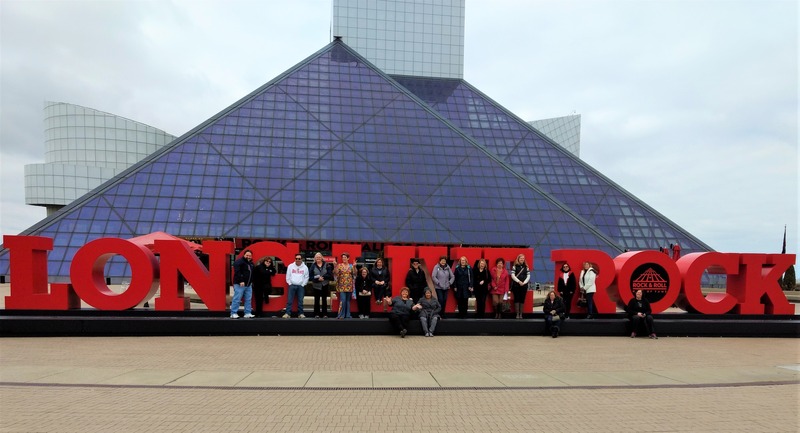 After a tasty treat we ventured to the Rock Hall. Let me just say if you have not been to the Rock Hall for the past couple of years you’re in for a wonderful treat at the new Rock and Roll Hall of Fame (2.0) Many of our guests had been before and were blown away by the changes, updates, and especially the new Cafe with food inspired by the recipes of Cleveland’s great chefs. A great day of fun and friendship, thanks for everybody’s making it possible and rock on!